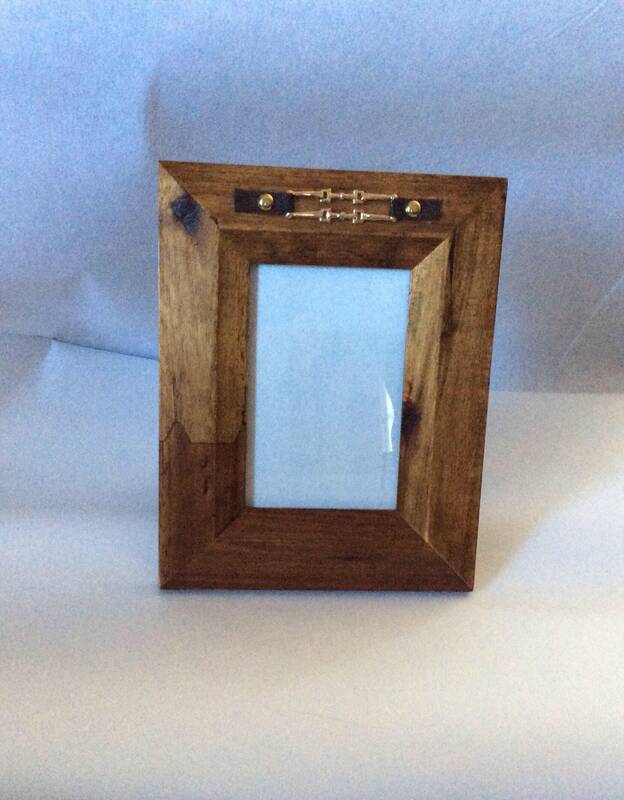 This solid wood picture frame is a lovely brown made from reclaimed wood and is adorned with a gold double snaffle . The frame measures 5x7 and holds a 4x6 picture. This frame will add a touch of equestrian style to any room. If you prefer a different size or color frame please message me as custom orders are my specialty and I would be happy to make one to your specifications . There is a price adjustment for larger frames depending on size.